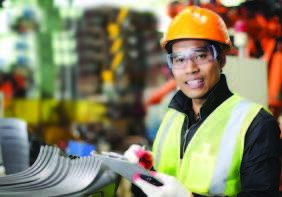 When customized machine guards are required due to unique machine and/or facility circumstances, Machine Safety Management can help. In these situations, our trained safety experts will come on-site to review and retrieve the necessary details required to create a compliant solution. Once your facility has been fitted with custom and/or off-the shelf guarding products, Machine Safety Management can conduct a safety audit. The changes can then be documented in the Machine Safety Management software “Machine History” section. Providing necessary due diligence documentation that the machine is now in compliance and ready for the next required machine safety audit.